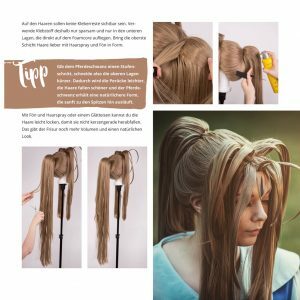 Wigs2 – Level Up! I am working on the English edition of my second wig book, due out in spring / summer 2019.This book is all about ponytail styles and gravity-defying updos. It will teach you advanced styling methods for a variety of wigs and hairpieces. I’m revealing the tricks of my trade that I’ve learned over the past 10+ years! You may remember my ponytail tutorials from community pages like cosplay.com, but only Wigs2 – Level Up! will bring you all-new photos and wig-styling projects! Styling suggestions and full-page cosplay photos that were shot exclusively for Wigs2 will make this a true eye-catcher. Why not get the print edition to put on your coffee table? Wigs2 – Level Up! 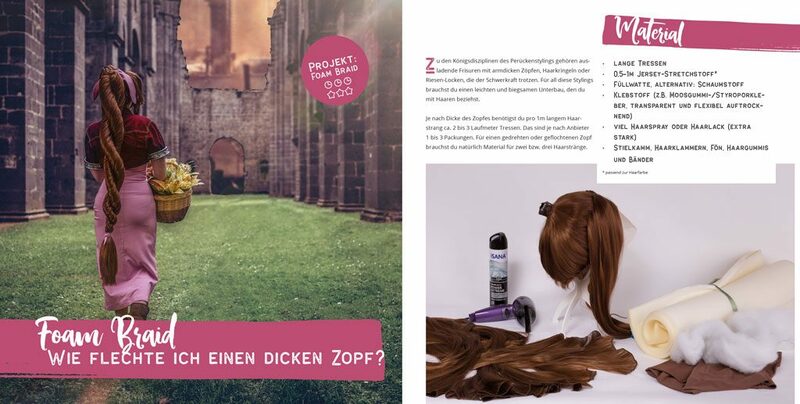 is currently being translated and like my Wigs 101, it will be proof-read with great care to bring you only the best wig advice. Wigs2 will be published in spring / summer 2019 in both print and ebook format (t.b.c.). Follow me on Facebook for updates on the release! Weiter Nächster Beitrag: Was sind gute Kostüme für Anfänger?